Hello everyone! I've been super busy since I last wrote a week in photos post! First of all, I completed my Race For Life in 25 minutes, so thank you to everyone that wished me good luck in my last week in photos. The week after that was a pretty chill one but I got to hang out with some friends I've not seen in a while which was nice. My hayfever was really bugging me though so I was trying to stay inside as much as possible. This week was a little bit more exciting. 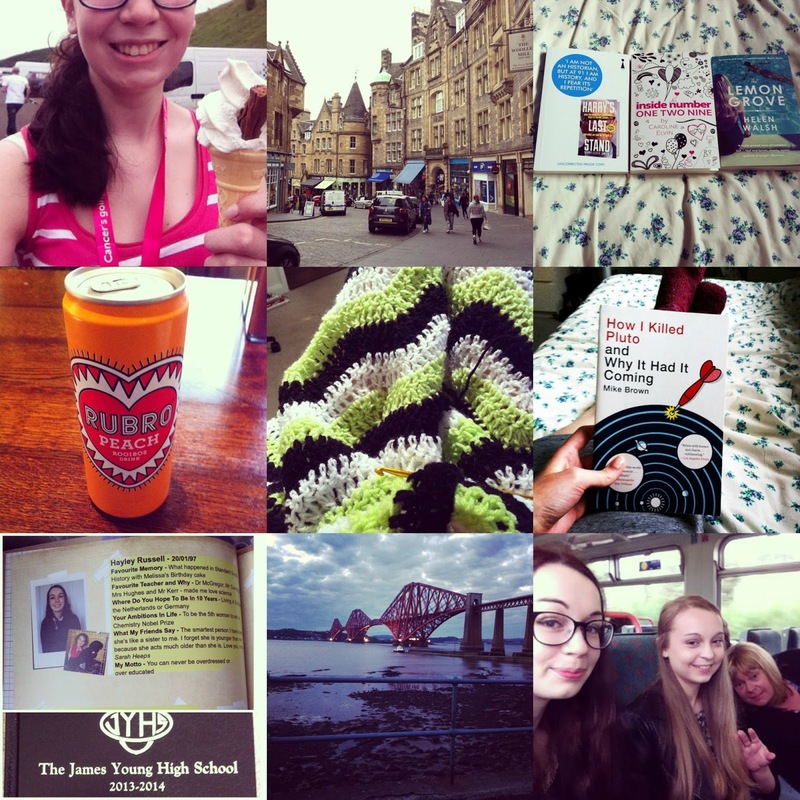 I headed through to Edinburgh to meet some of my flatmates. They were absolutely lovely and I feel really confident about moving out now. We went for lunch at Clerk's Bar(so good) and then had a little wander around town. Then on Tuesday I finally went to see The Fault In Our Stars. Now I did cry, but I didn't really enjoy the film. It was alright but I realy didn't like the casting, sorry guys! On Thursday Stuart and I took a little road trip out to South Queensferry. We walked along the beach under the Forth Rail Bridge and had a lovely evening! Full blog post to come! And on Friday I went to Venture Photography with my family for a photo shoot. This was a blogger perk so there will be a full post about it after I get the final photos. Phew. I need a good sleep! Also whilst you all are here I would really appreciate it if you could fill in my blog survey, this would really help me improve Water Painted Dreams. Thanks in advance!